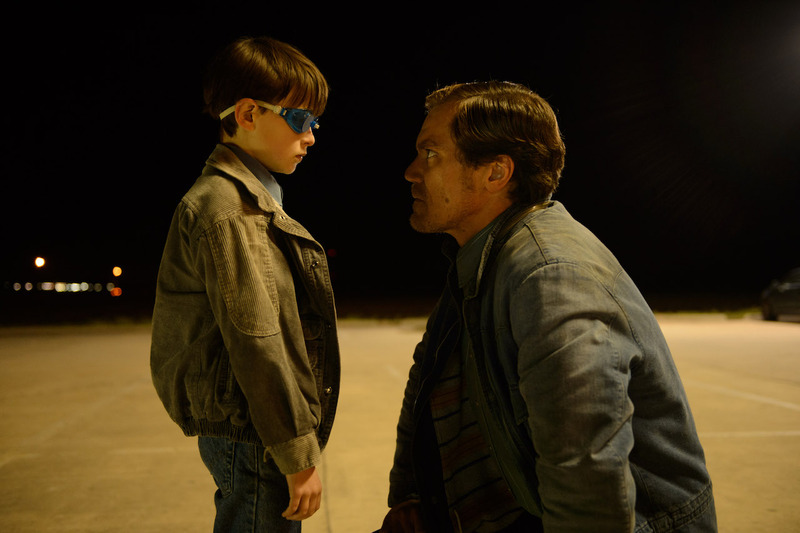 Midnight Special initially appealed to me for one primary reason – it stars Michael Shannon. Anyone who has followed my Pop Culture Spin work has seen Shannon content peppered throughout my author page. I’m not usually interested in sci-fi films, and on storyline alone, I likely wouldn’t have given Midnight Special a chance had it not featured my favorite actor. It didn’t hurt that Joel Edgerton, another one of my top dogs, also played a starring role. Personal preference rambling aside, I’m glad I ultimately saw this Jeff Nichols directed movie. It tells the story of young Alton, the eight-year-old son of Shannon’s Roy played by Jaeden Lieberher. He has special, out of this world powers that have drawn the interests of a religious cult and the FBI alike. The mission is simple despite being complex in nature… Roy and Lucas (Edgerton’s character) have to keep Alton away from the god-fearing lunatics and high ranking officials. This is especially difficult since Alton is prone to behavior not quite that of the usual eight-year-old. Things like, you know, making satellites crash into gas stations and beam massive lights from his eyes. Again, not your typical eight-year-old. 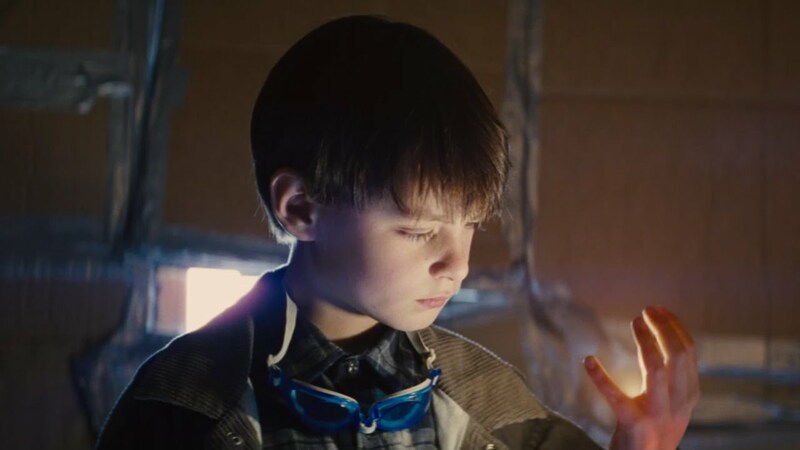 The premise is of course easy to buy into once you accept the sci-fi premise, and Midnight Special does a superb job of making the audience have a stake in Alton’s journey. Above anything else, Midnight Special is a story of family and friendship. Knowing all along there’s the chance Alton will be taken to another world, one where he more so belongs, Roy still does what’s best for his son despite formerly being part of the religious cult himself. Kirsten Dunst plays Sarah, someone we’re given to feel Roy could’ve had a normal life with had they not birthed an essential alien. We’re never provided an exact term as to what or who Alton truly is, and we don’t need one, but alien or out of this world figure seems appropriate. That’s the family aspect – the friendship one comes from Lucas. He tells Sarah in the middle of the movie that he and Roy were best friends as children. They drifted apart once Roy joined the cult and never spoke until Roy knocked on his door, telling him he and Alton required help. Another critical figure in Midnight Special is Adam Driver’s Paul. He works for the NSA and is the primary person questioning Alton when he’s being held. Paul is a key player in this film’s game – definitely not supportive of the cult, not quite adopting the viewpoint of the FBI that Alton is a weapon – simply open to figuring out what motivates Alton and what’s best for him. In the end, it’s Paul who is instrumental in helping Alton return to his family. Alton had been kidnapped by two members of the cult who we assume believe the child would’ve helped them come closer to god. Throughout watching this movie, it becomes increasingly clear that Alton’s character is a representation of the unknown, and how much the general public fears what it can’t understand. Immediately recognized as a savior or weapon depending on the group, people lose sight of the quite obvious good present within Alton. Aside from shining powerful lights from his eyes and having the ability to obliterate all in his path, Alton is a normal kid. He isn’t after uplifting an entire religious group. Global destruction isn’t on his agenda. Above everything, Alton is looking for acceptance. This message is the heart and driving force behind Midnight Special. Even aliens, or out of this world figures, need to belong. Roy, Lucas, Sarah, and Paul make Alton’s need to belong come to life. He’s driven out to a field where a situation beyond words occurs. Gargantuan architecture smashes down upon the field, and light forces that have the ability to walk and communicate approach Alton. As Roy and Lucas flip over in their car after transporting Alton to the location, Sarah watches as her son is taken to a different world, to a better place. Mission accomplished. The final scene is Roy looking to the sky from prison, a bright sensation glowing in his eyes as the audience assumes he makes a connection with Alton. I’m sure Roy and Lucas will accept their prison time in exchange for knowing Alton is where he belongs. If you haven’t seen Midnight Special yet, you belong in a theater.